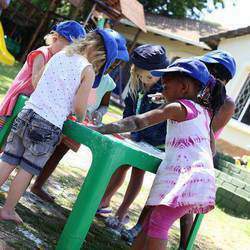 Little Steps Pre-Schools are known as one school with two locations, based on Platina Road Jukskei Park & on Hornbill Road Douglasdale. Our goal is to always inspire, ignite the imagination, and instill a love of learning, where each child is celebrated for the individual they are, focusing on holistic development. We have created a unique philosophy that promotes self-esteem, individualism, and positive reinforcement. The entire Little Steps family is committed to preparing our children for a lifetime of learning. It is our purpose to care and to provide education of the highest quality that will enable all of our children to become well rounded individuals, who are confident in themselves and their abilities, school ready and have a love of learning. Little Steps is so amazing. I have had my kids at 3 others nursery schools in Fourways over the past 5 years, and I can honestly say that my kids and I are the happiest at Little Steps. The love and care is never-ending and the experience is truly learning through play. I was very nervous to send my daughter to school at 20 months of age but choosing Little Steps was the best decision I could have made. She has developed in leaps and bounds in all areas and has grown into a confident, super smart little toddler with the love, care and the focus on education from the excellent teachers. Thank you!! My little cherubs have only been at little steps for a month and I could not be happier, both girls are loving going to school, no more fighting in the morning. The attention to detail is amazing! This really is an amazing school and you can see that there is a lot of love and passion that goes into the school. So much preparation and excitement goes into all the schools activities I honestly have not seen another school that offers what little steps does and we hunted and hunted when we moved to Joburg from CT - 5 stars! My son is in his 3rd year at Little Steps and we are so happy with the love and encouragement he receives. Its amazing to witness his knowledge and confidence growth. The school is an absolute gem and thoroughly recommended. I cannot truly express how happy I am with Three Little Step (Douglasdale branch). My daughter is so happy there. Everyone involved in this school is so passionate, caring and loving and it really shows. I am so happy that I chose this school as the place my daughter grows, her development has been incredible but for me the absolute most important thing is she is incredibly happy and LOVES her teachers, and her time there. Little Steps is a home away from home for my daughter. The teachers are all passionate about what they do. As a mom i am happy to drop my daughter off there every morning, knowing she is in good hands and safe. The curriculum offered is also age appropriate and challenging! 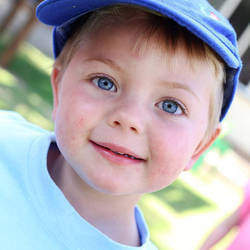 Little Steps is an amazing school. It is filled with teachers who genuinely care about the children they teach. It is warm and friendly and is well kitted out for small people. I could not recommend it highly enough! !